Needless to state as to how important the Search Engine Optimization has become! Regardless of the fact whether it is a business website or a personal website, the website design and development process must be top notch. 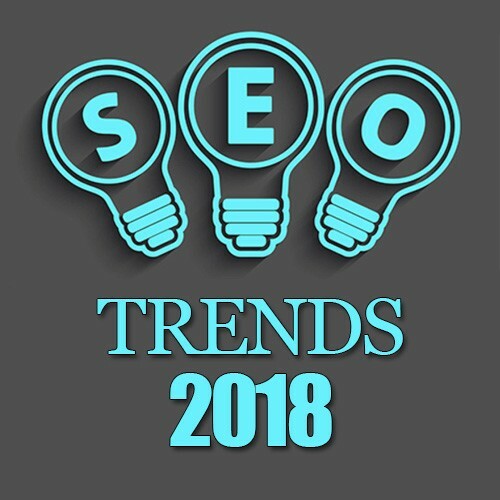 With every day growing market and changes there are changes in the SEO elements too. It's been quarter of 2018, and the market is already trending with its new trends. It will be great to understand how useful these trends are and what to expect from it. It remains no surprise that more than 50% of the users use their mobile for searches instead of desktops. The search engine optimization services will, therefore, pay heed to websites based on the mobile version of the content. The content displayed on the site, whether through mobile or desktop, must remain the same. Using structured data, ensuring proper “href lang” tags exist, checking mobile usability with search console, etc. will help in getting a friendly and responsive website design. By adding highlighted snippets, it adds more weight age to the site. Search Engine Optimization Company will agree that presently, 10% of the traffic that features snippets ranks the top in the listing page. There are more than 50% of users who use voice search on a daily basis to avoid wasting time on typing. It is changing the online shopping experience too. It demands the business websites on infusing a conversation speech or question format content on the blog page or social media page or a Frequently Asked question page for better user experience. Many search engine optimization Company in India use Rank tracker to help in researching questions that a user is likely to ask. 2018 will look forward to link-worthy and user-driven content that makes sense for the audience and gives them relevant answers to their questions. 1500 words or more are expected to perform better as they draw more attention of the users and seek high ranks in at the search engines. Such pages receive more top backlinks and social shares too. The idea to target customers based on physical proximity is going to be the trend of 2018. This may require expertise from an SEO Company to target hyperlocal words more and optimize for local relevant appearances. These are the speakers that are activated by voice and provide the result as per the spoken search. Users get to interact with the activated sound. It is going to benefit the sales of the site and thereby increase in generation of the revenue. CreativeClick, SEO Company in Indore, India provides brand positioning and engagement by using creative designs and using the integrated approach. Gone are the days when SEO design of the website was thought as a onetime investment. These days the demand is for quality Search Engine Optimization Services and the SEO companies who can deliver the right output. From a business point of view, getting the right SEO professionals is imperative. Many SEO companies provide innovation, integrity, efficiency in the website design and make changes accordingly. CreativeClick is occupied with latest technologies to help you. With the cut-throat competition, it is evident to fulfill the trends of 2018 or call yourself an old school student!